Who doesn’t know them – those famous South African wines that look back on almost 350 years of history. South Africa is known as ‘the cape of good wines’ or ‘the cape of good grapes’ with good reason. 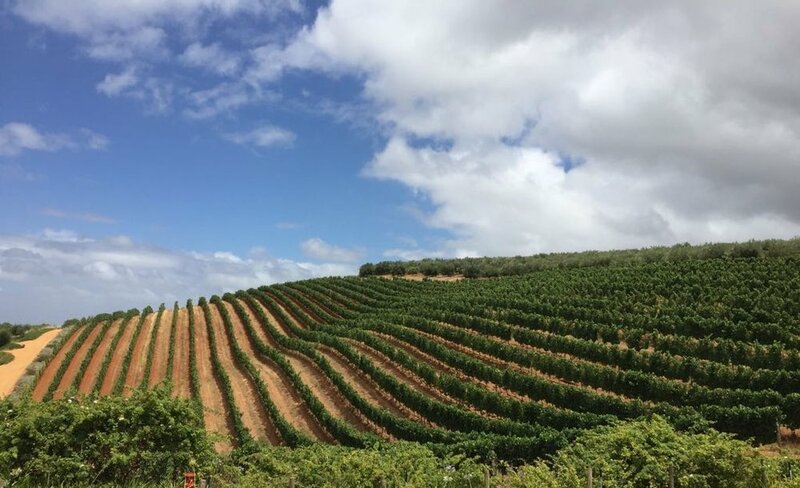 400 km around Cape Town you will find all kinds of grape varieties, such as Cabernet Sauvignon, Pinotage, Shiraz, Pinot Noir, and fruity white wines like Sauvignon Blanc, Riesling, Semillion, Viognier and Chenin Blanc. We recommend that you schedule at least 1-2 days for wine tours. Next to Constantia, Durbanville, Franschhoek, Overberg and Tulbagh, Stellenbosch is the most famous wine area. It has beautiful historic estates and state-of-the-art wineries. Almost all vineyards offer a variety of culinary delights and wine tastings. The best restaurants in the country are often located in vineyards, such as Campher at Vergelegen, Waterkloof, Rust end Vrede, Overture in Hidden Valley, Bodega in Dornier, Terroir in De Zalze, Idiom, Cavalli, Delaire Graff, Tokara, de Brasserie of Almenkerk and many more. Wine and golf also made a fruitful union in South Africa, as world-famous golfers such as Ernie Els, Retief Goosen, Louis Oosthuizen, David Frost run well-known wineries, which you can also visit. We are happy to organize wine tasting tours for you.